Over the past two years solid-state drives (SSD) have gained tons of popularity among all classes of computer users who are serious to give a big performance boost to their machines without having to supersede anything else beside that, and for this reason an SSD upgrade, although deemed by experts “the most effective performance upgrade”, it’s also the easiest way to feel the real meaning of blazing speed. Whatever class of users you belong to, the high-end performance of an SSD will certainly impress you even if you just use your computer for regular tasks, like browsing the Internet, working on Office documents, and watching movies. And good news is, whether you employ the fastest solid state drive (SSD) in the world in your computer or even the slowest one ever, the remarkably-noticed speed improvement over the traditional hard drive cannot be denied or neglected. The solid-state drives below are all for SATA interface. Our post: The Best & Fastest mSATA Solid State Drive (SSD) can be the end of your pursuit. If you find an SSD isn’t affordable, you may consider going for the best & fastest hard disk drive (HDD) instead. If you aim by seeking an SSD to use it as an external storage solution, we would highly recommend that before you continue reading this article to first view our best & fastest external solid state drive (SSD) list, where we gather the most reliable branded drives there. What’s New In November 2015? There has been no new addition of SATA III solid state drives in our list for September 2015. 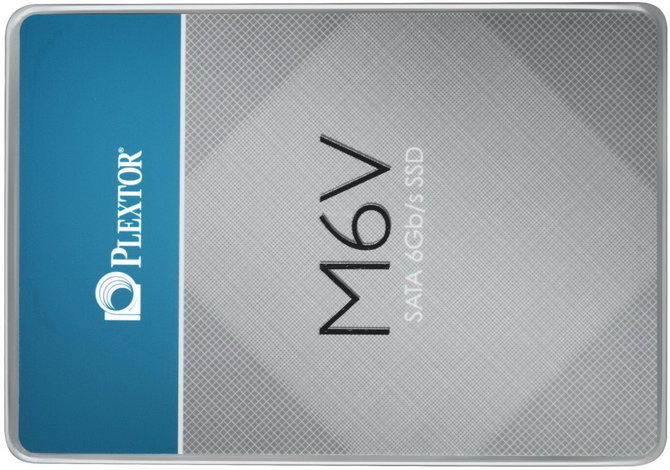 The latest production of SATA III SSDs is Plextor M6V which was released in July 2015. Moreover we have included the latest releases of Samsung in the SSD space in July 2015 that come in 2TB capacity and which are considered the largest SATA III SSDs on the market as of the time of writing this article. You’re supposed to find in this article the latest solutions for every class of users, whether you deem yourself mainstream/ordinary computer user or an enthusiast. We have classified what we consider to be the best SSD brands below according to your requirements and what you deem yourself, whether an enthusiast (extreme user) or a mainstream user to make it easier to find out what suits you best. Each of the two typical user groups below has its own data storage requirements. It is not uncommon that you may identify with more than one group. This guide is devised to help you to find the best SSD with the right features and benefits for your particular needs. The drives selected for this section are meant for computer enthusiasts who seek the utmost level of performance and speed an SSD can provide. These drives are based on MLC NAND which gives them huge endurance capability that makes them a perfect solution for serious gaming experience and extreme workstation jobs. There are plenty of reasons to be excited about the Samsung SSD 850 Pro. It’s the first SSD on the market that uses the innovative 3D vertical NAND (V-NAND) flash memory for top performance and ultra-high endurance. It also comes with a rarely seen 10-year warranty and, among other features, has a RAPID mode that further boosts its performance. Features sequential read and write performance up to 550 megabytes per second (MB/s) and 470MB/s respectively, and random read and write input/output operations-per-second (IOPS) up to 100,000 and 90,000 each. Samsung does not cease to amaze me with their SSDs as the 850 Pro just kills it in every aspect. The performance is there. The endurance is the best of the class. Heck, even Samsung’s feature and software suites beat the competition by a mile. To be honest, there is not a single thing missing in the 850 Pro because regardless of the angle you look at the drive from, it it will still top the charts. If you are looking for a SATA 6Gbps drive and want the absolute best, the 850 Pro is your pick. It is without a doubt the best drive in the market as long as you are able to justify the price premium over other options. I can say that Samsung turns the dial as high as it’ll go for SATA 6Gb/s. There’s not much room left to innovate until we start seeing versions of the 850 designed for alternative interfaces. The SanDisk Extreme Pro SSD is designed to give power gamers, developers, and media professionals pro-level performance in the most demanding situations. Innovative nCache Pro Technology delivers sustainable performance with super-fast read and write speeds as well as long drive life. The SanDisk Extreme Pro SSD is the ideal choice for demanding professionals and enthusiasts who need ultra-fast results and effective multitasking for resource-intensive games and applications. Note that this was the best SSD in the market once it was released until the advent of Samsung SSD 850 Pro almost a month later. That’s why you see some SSD experts picked this drive as the best, then afterwards picked Samsung 850 Pro, such as AnandTech. The Extreme Pro is without a doubt the fastest SATA 6Gbps SSD in the market. As Anand said in the Extreme II review, SanDisk has picked an excellent balance of IO consistency and peak performance, resulting in high performance regardless of the workload. SanDisk is turning out to be a very dangerous player in the client SSD space. With nearly perfect vertical integration model (they just lack client controller silicon and DRAM), SanDisk has the ability to put against Samsung and Intel who have traditionally held the performance crown. Before the Extreme II, SanDisk was fairly unnoticeable in the retail SSD market, but the Extreme II acted as a warning of SanDisk’s skill and know how, and the Extreme Pro just further reinforces that. If SanDisk can keep their pace going with PCIe SSDs, others will have hard time keeping up with them. With enterprise performance, great components and a 10 year warranty, SanDisk has created the SSD to beat in todays flash product market, The SanDisk Extreme Pro SSD has withstood some of the toughest we have thrown at any SSD to date, and come out the victor! Manufacture’s Description: Born from the data center, the Intel Solid-State Drive 730 Series delivers uncompromised performance for PC enthusiasts by combining factory tuned components and data center DNA. Maximize your computing experience with the fastest consumer Intel Solid-State Drive delivered to date. 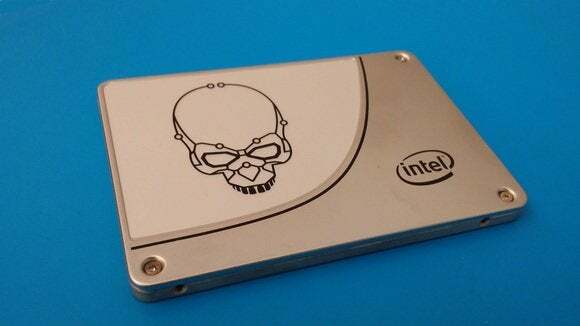 The Intel Solid-State Drive 730 Series is built with a specially qualified 3rd generation Intel controller. Performance optimized firmware and 20nm Intel NAND Flash Memory take it a step further by factory overclocking these components for a 50% increase in controller speed and 20% increase in NAND bus speed. Optimized for the most demanding tasks, including digital content creation and extreme gaming, the Intel Solid-State Drive 730 Series delivers low 50µs read latency, up to 550 MB/s sequential reads and random reads up to 86,000 IOPS. Now what comes below are also great performing solid state drives, and they make the best compromise between high performance and low price. So they are rather budget-oriented SSDs with top-notch performance. Upgrade virtually every aspect of your computer’s performance with Samsung’s new 850 EVO, designed with state-of-the-art SSD advancements including 3D V-NAND technology. As the next generation beyond the bestselling 840 EVO, you’ll get the 850 EVO’s new 3 dimensional chip design that enables superior performance, greater reliability and superior energy efficiency so you can work and play faster and longer than ever before. The Samsung 850 EVO 500GB is an excellent SSD, aimed squarely at the budget minded PC user who also demands high performance. The drive we tested offered very strong performance, it has a relatively long warranty, competitive pricing, and a high endurance rating. You can’t ask for much more in a solid state drive. The Samsung 850 EVO series will offer you the comfort of an increased number of cell write cycles, but not only that. The EVO model offers very strong SATA3 performance throughout all the tests we fired up on it. It’s a little beast in terms of performance. […] Combine that warranty with the more than great performance numbers and we can only conclude that the Samsung 850 EVO SSD series will be the choice to get for many of you guys and girls. The product is wholeheartedly recommended, though for consumers there is so much other stuff out there. Pricing is good not cheap, but if you place it into perspective with the endurance, lifespan and steady performance, it means value. Manufacturer’s Description:Outlast and outperform your hard drive. Boot up almost instantly. Load programs in seconds. And accelerate demanding applications with ease. It all starts with ditching your hard drive. Engineered to outperform a hard drive and deliver cost-effective performance, the Crucial BX100 leverages advanced flash memory technology and moves your computer beyond the outdated storage limitations of spinning discs. By transmitting data in a digital manner rather than having to seek it out on a spinning platter, the Crucial BX100 is over 15x faster, 2x more reliable, and 2x more energy efficient than a typical hard drive. Manufacturer’s Description: The M6V’s fast access and response times will match your life’s busy pace and keep you from constantly waiting on your hard drive. Still struggling with your HDD’s slow load times? The M6V offers faster and more efficient performance at an unbeatable value. Drastically improve load times of all applications, increase productivity, improve power efficiency, and enhance total system responsiveness. Supports new PlexTurbo 3.0 that exceeds the SATA barrier! Why Go For A Solid State Drive (SSD)? Before deciding whether to go for an SSD or not, you need to know first what you can acquire from having that storage device into your computer, then gauge your needs within your budget and finally make the right decision of whether this type of drives suit you or not. In fact, the most significant and noticeable benefit you’ll get from having an SSD is performance. By “performance” I mean speed, consistency and stability. There where solid-state drives shine and beat all of their alternative competitors. (I say it plural in case there is any other exists than the mechanical hard disk drive). Just imagine it. While the best and fastest hard disk drive (HDD) is extremely struggling to reach the transfer rate of 230 MB for read and write, a standard modern SSD easily exceeds this speed limit to more than the double of it. (i.e. The standard speed of modern SSDs is not less than 500 MB/s for read and write.). 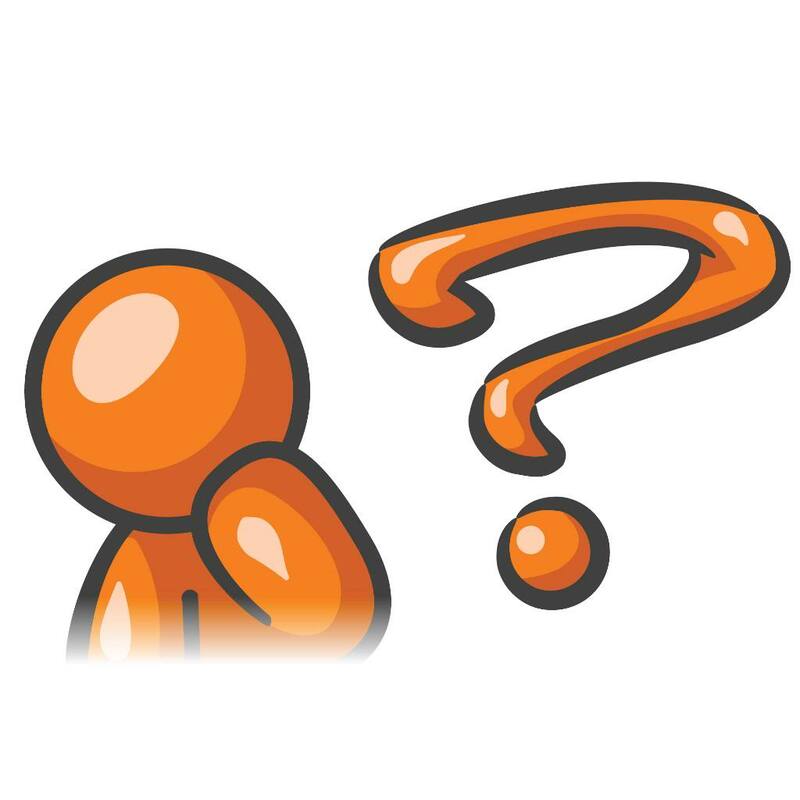 That alone is sufficient to persuade the majority of users to obtain this drive, especially those who account themselves “heavy duty users” or “enthusiasts” like extreme gamers and professional video editors. In addition, SSDs boast high power efficiency which will impress every user who wants a new storage drive for their portable computer. SSDs use significantly less power at peak load than hard drives, less than 2W vs. 6W for an HDD. Their energy efficiency can deliver longer battery life in notebooks, less power strain on system, and a cooler computing environment. If you want to read more on this topic, read our article: Is Solid State Drive (SSD) Worth It After All? SSD or HDD – Which Does Suit You More? Solid State Drives (SSD) have proven lots of advantages over the mechanical hard disk drives (HDD) that make them a very appealing option to go for. In fact, SSDs better hard drives in almost all aspects, except those related to price and capacity. As for price, a budget-friendly SSD like Crucial BX100 in the capacity of 1TB costs $374.99 as of the time of writing, while the same capacity of a regular hard drive like Seagate Desktop Hard Drive costs only $69.00 as of the time of writing. Or if you want to compare it with a same-form-factor drive (i.e. 2.5 Inch) like HGST Travelstar 7K1000, it costs also $69.0 as of the time of writing. This just outlines for you how costly an SSD can be compared with traditional hard drives. As for capacity, the largest consumer-grade SSD did not exceed the 1TB capacity limit, while mechanical hard drives have already reached the 8TB limit (HGST Ultrastar HE8 Hard Drive as an example). Therefore an SSD cannot suit most enthusiasts who need the fastest possible storage solution alongside with the largest capacity to hold their huge files and data. To resolve this issue a hybrid mode is suggested with which you can combine both SSD and HDD into one system where you get almost 80% of the performance of SSD, and, at the same time, employ the full storage of the hard drive. You may also want to read our article: Is 128GB Solid State Drive (SSD) Enough For You? to find an answer to this very commonly-asked question. SSD Performance has shot up to new heights, prices have tumbled, and the choice of what’s available in the marketplace has become so vast and so varied that almost anyone can inject new life into their PC with a solid state hard drive upgrade, and as the landscape of SSD drives continues to evolve, it becomes more difficult for consumers to discern the good drives from the not so good and which ones offer a good value. To make it tougher, many manufacturers have several different lines of drives that offer various levels of performance. And after realizing the significant benefits of SSDs and feeling they are suitable for you, you may wonder which SSD is best for you. Should you go to the top-notch fastest SSD over there? Or is a regular SSD pretty sufficient for the purpose you need it for? If it’s your first time to shop for an SSD, almost any model will stun you with the tremendous improvement in speed, especially if you make it your boot drive. For most buyers, it’s only when you’re on your second or third SSD that you might start to get fussier about performance and worry about the best SSD to buy in terms of speed. We have made this article wherein the top-rated and most recommended SSDs as of [September 2015] are gathered based on IT professionals’ recommendations and the experiences of users who evaluated a particular SSD and presented a review on the item’s page on Amazon.com. If you need to delve more into this subject, an article on our website titled “Learn How To Choose The Right SSD For Your Computer” may help you further make your decision. Eventually, if you find yourself unable to afford the prices of SSDs, yet you look for a high performance storage solution, visit our best & fastest internal hard drive list, in a hope that you will find a good fit for your needs.